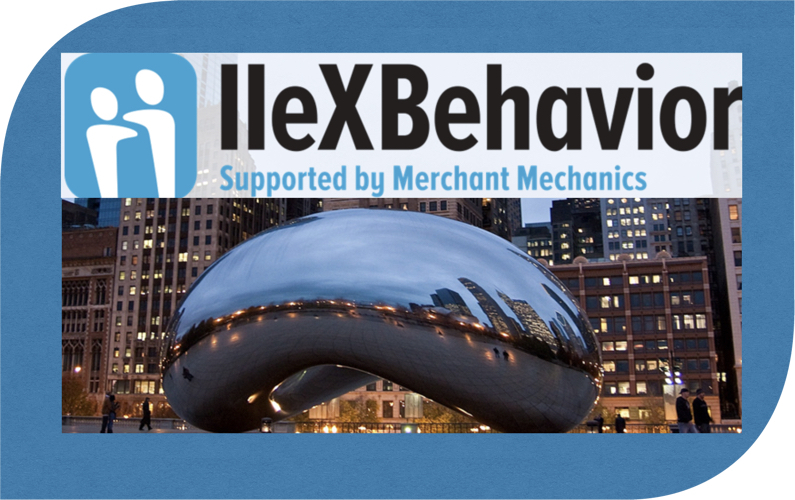 Last week I attended a conference in Chicago called IIEX Behavior, which is attended by marketers and researchers interested in applications of the behavioral sciences. 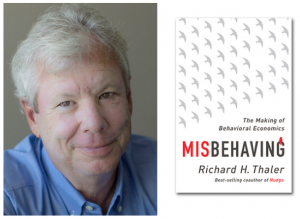 Each year the conference seems to attract more attendees and better speakers — surely driven by the Nobel Prizes recently won by behavioral scientists Daniel Kahneman and Richard Thaler. 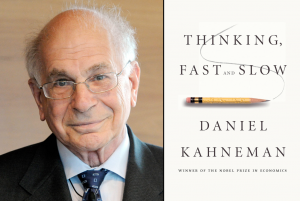 We now know that as much as 95% of our cognitive processing is subconscious — the System 1 “Fast Thinking” that Kahneman described in Thinking Fast and Slow. These are the unconscious responses, irrational biases and emotional drivers that influence what we do, but that we never consciously think about, understand, or are even aware of. Curious marketers and researchers are keenly interested in this emerging field because for years their colleagues have focused on 5% of the human brain that is rational and part of our conscious thinking. Marketers are discovering what intuitive creative types have known for years — that human connections require engaging the “fast” 95% of the brain’s processing with storytelling, smells, touch, a compelling soundtrack, disruptive visuals, etc. Only 5% of ads have a significant impact on sales. John Kearon, founder of The System 1 Group, has built a whole company around the System 1 thinking. Their research data show that only one in twenty ads builds a brands fame, fortune and fluency to drive its sales long term. True Innovation requires a framing of one foot in the familiar. The challenge for innovators is to make true innovation seem more familiar. System 1’s surprising results indicated that really successful innovations appear to us as 80% familiar and 20% new. Shopper Marketing has it all wrong. John also stated that Shopper Marketing, which has focused on interrupting our shopping experience has it all wrong.They should focus on reducing consideration by making the experience easier and faster. 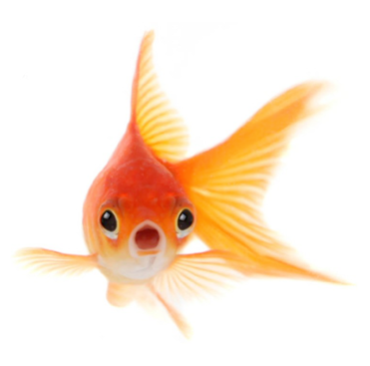 Goldfish have an attention span of 9 seconds. …and the average human attention span for messages has fallen from 11 seconds to 8! With creative units shrinking from the 30-second commercial format to a 5-second Youtube clip, marketers are challenged to tell a story much more quickly! There is a 600% gap between claimed purchase intent and actual purchase intent! Frances Karandy of Pandora showed that when you are developing pricing models, you cannot rely on what consumers say they will do. Dr. Dan Young of Hotspex discussed the difference between explicit (say) and implicit (convey) communication. Implicit communication happens with stories, visuals, smells and music. Alaistair Herbert of Linguabrand showed that if you can change the metaphor, you can change the behavior. 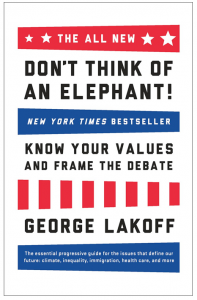 George Lakoff and Steven Pinker have both shown that metaphor is the stuff of thought and that spoken and written language is an echo of our thought structures. When we say we are feeling “down” we are using a direction metaphor to express a feeling. Marketers and Strategists tend to fall in the trap of using conceptual language (e.g., “beloved, innovative”), when sensorial language (“kiss, in-touch”) and metaphorical language (“heart, flow”) are much more powerful. A marketer’s challenge is to play back the same language structures that consumers use to understand a topic. For example, breast cancer non-profit organizations were using the language of war (fight, defeat, battle), but women who were living with breast cancer used metaphors of movement (a journey). Sound may be even more powerful than visuals! Elissa Moses of Ipsos presented some compelling results on the power of sound. She explained how the brain processes sound differently from visuals and that sounds linger in the brain much longer than sights (think of that catchy earworm tune you were humming this morning.) 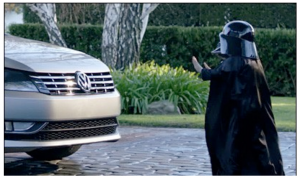 She showed how can trigger powerful emotions and memories in the brain (The VW Darth Vader ad had no words in it) and that it can be used to both disrupt and enhance. Her data showed that sounds were stronger than visuals in eliciting certain emotions, such as happiness. Mikaela Ford of Fresh Squeezed Ideas showed how their firm is using the behavioral sciences to enable consumers to show how they group concepts and brands by giving them choices to group two of three objects, over and over again. This uncovers the deeper structure of how consumers view a category or brand and how marketers can approach them. Doug Grant of Inqui showed their “cognitive interview” approach, which took consumers back to their first memories of a category or brand and explored the emotions associated with that first memory to unlock the context, the emotion, and the meaning of that experience. Liz Schwab of the University of Chicago showed how our understanding of issues is affected by the context, our biases, and social norms. She showed how a “reframing” of the concept of climate change as “a threat to the American way of life,” had a deeper connection with a broad group of citizens. Motivations / Costs = Behavior. Hunter Thurman of Thriveplan showed a unique model for explaining human behavior. 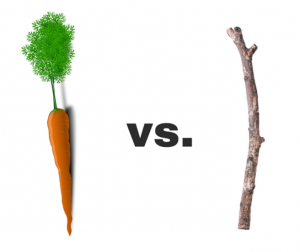 In a nutshell, the 4 “carrots” (understanding, dominating, belonging and connecting) divided by the 5 “sticks” (emotional, physical, social, time, price) explain human behavior within a given context. “….Yes……….I……love…it” when your wife asks you how you like her new dress. There were some sobering predictions from Peter Pakalski of Blackbox. For example, we will experience 200x more change in our lifetimes than someone living in the last century. His predictions show that 61% of the market research jobs will be replaced by Artificial Intelligence in the next 20 years. But you really don’t want your kids to work in retail, where 92% of the jobs will be gone. The Behavioral Sciences are quickly going mainstream in marketing and rapidly changing how we research and engage consumers in brand experiences. Fritz Grutzner is president and founder of Brandgarten, a firm that specializes in uncovering the emotional drivers behind consumer behavior and using deep human insights to build powerful brand strategies. He can be reached at fgrutzner@brandgarten.com.